I have no idea what this is, or in fact who is building it... in fact these pictures don't exist at all. They are clearly NOT of a game board being assembled and reaching the end of foam cutting and about to be glued. There is no way that these pictures could exist, because anyone building such a thing would have to not be working 60 hour weeks and neglecting his family to try and finish this. Shhh ... still nothing to see here, move along move, along now. 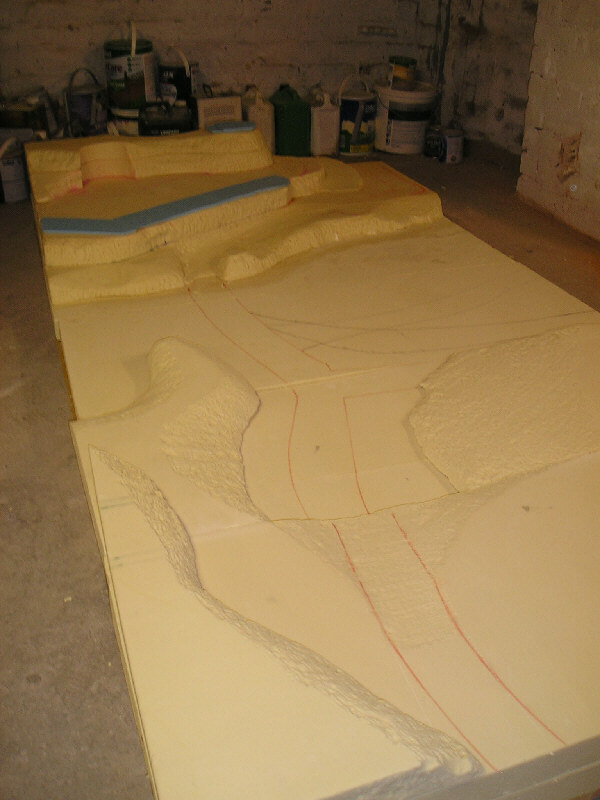 Is it going to be getting smoothed out with polyfilla once it's all glued in place? Or is there another plan? 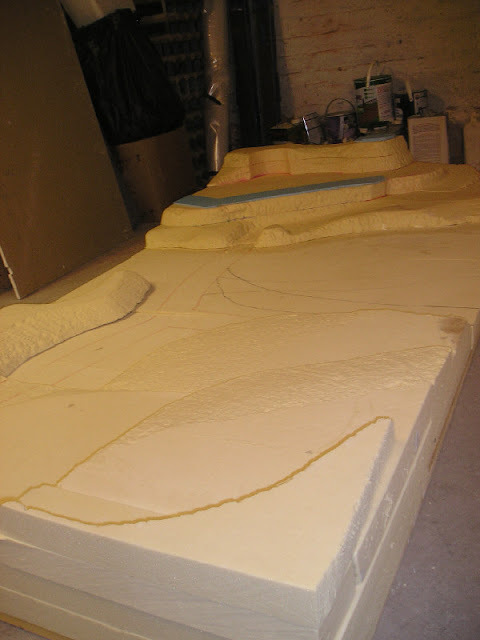 The fortress end is going to be craggy with lots of exposed rock face. 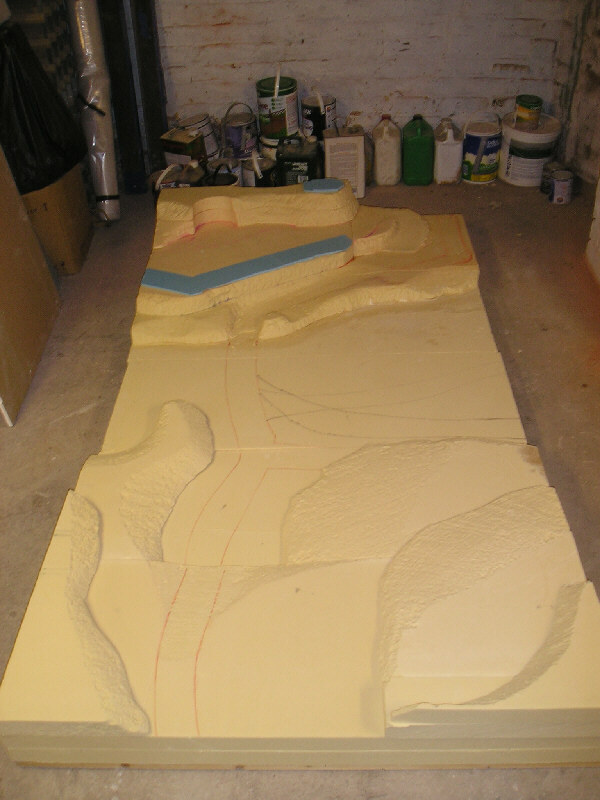 The other end will have occasional craggy bits but will mostly be rolling hills. 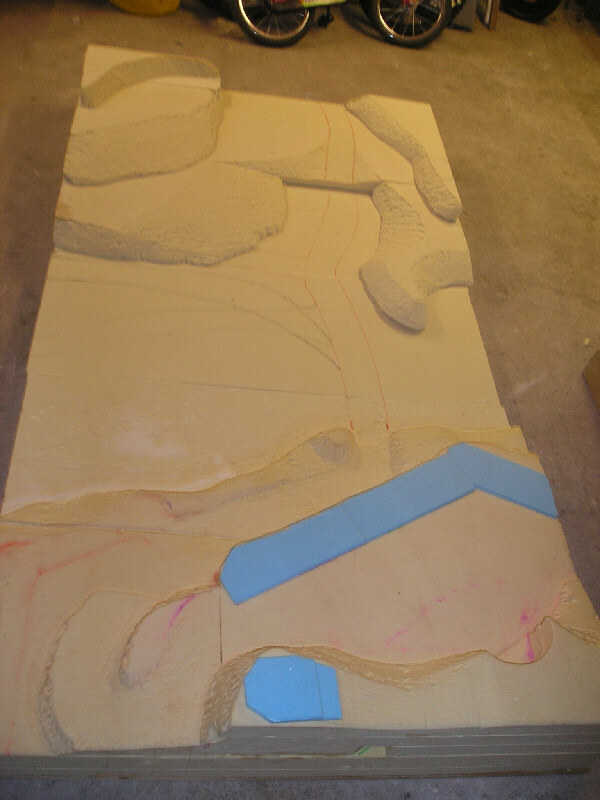 The rolling bits will be smoothed out with various layers of plaster icing.